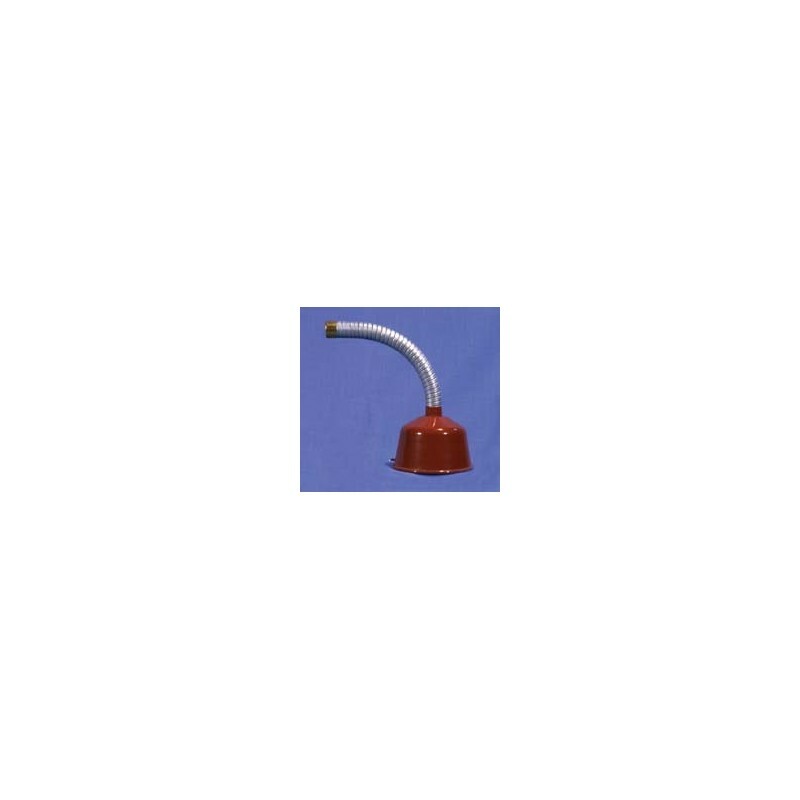 The large diameter (4-1/2") opening of this FLEXIBLE HOSE FUNNEL is designed to efficiently transfer solvents into the storage cans without spillage. 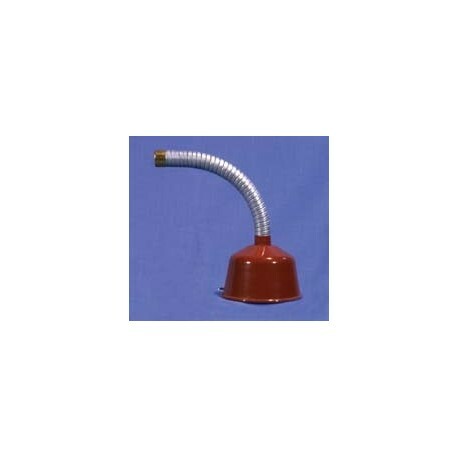 Flexible hose funnel assembly has spring clip for quick, easy attachment to cans. Constructed of terneplate and metal hose to provide grounding path to prevent static sparks. 2 sizes available, both have hose O.D. of 15/16".